Back of original picture says "Wm Longley's daughter", taken at South Bend, Indiana. Not sure if this is Edna or Mary? The South Bend Tribune Newspaper (Indiana), Wednesday 25 Nov 1959. Miss Edna J. Longley, 215 S. William St., children's librarian and assistant city library in the South Bend Public Library from 1927 to 1952, died Tuesday night in the Alexandrian Nursing Home, 118 S. William St. She had been ill two years. Miss Longley was born in South Bend on Nov. 5, 1884, the daughter of the late William H. and Helen Sarle Longley. Her father, who died in 1935, was the eight mayor of South Bend, serving from 1888 to 1892. Miss Longley graduated from South Bend High School in 1904 and received her library training at Winona Technical Library School, Indianapolis, in 1905 and 1906. She took her first library position with the South Bend Library in 1906 and became children's librarian in 1908 and assistant city librarian in 1927. She retired on Dec. 31, 1952. Surviving are a brother-in-law, Rudolph J. Altgelt of South Bend; a cousin, Mrs. Charles Lincoln L. Ayling of Boston, Mass., and a niece, Mrs. Carl F. Prell of South Bend. A brother, William Howard Longley, died in 1956 and a sister, Mrs. Mary Altgelt, in 1954. The South Bend Tribune Newspaper (Indiana), Friday 27 Nov 1959. Census 1920 South Bend, St. Joseph Co., Indiana, E.D. 237, sheet 8. Edna was living with parents in 1920 Census, as a Librarian. [S1042] Unknown author, Birth Records Index, St Joseph Co , South Bend, Book CH25, pg 67 (n.p. : n.pub., unknown publish date). [S1885] W.H. LONGLEY, EX-MAYOR, DIES, The South Bend Tribune Newspaper (Indiana), South Bend, Indiana, 18 Aug 1935, Section 1, page 1 and 5, The South Bend Tribune Newspaper (Indiana), Sunday 18 Aug 1935, Section 1, page 1 and 5. Hereinafter cited as The South Bend Tribune Newspaper (Indiana). [S1884] Funeral Notes, LONGLEY, The South Bend Tribune Newspaper (Indiana), South Bend, Indiana, 27 Nov 1959, n/a, The South Bend Tribune Newspaper (Indiana), Friday 27 Nov 1959.. Hereinafter cited as The South Bend Tribune Newspaper (Indiana). [S1043] N/a, History of St Joseph Co , Indiana, 1880, page 929 (Chicago, Illinois: C.C. Chapman & Company, 1880). Hereinafter cited as History of St. Joseph Co., Indiana. [S1955] Penny Luce, "Penny Luce User <e-mail address>," e-mail message from e-mail address (n/a) to Steven Harn Redman, 21 nov 2010. Hereinafter cited as "Penny Luce User <e-mail address>." Ancestry.com. Michigan, Deaths and Burials Index, 1867-1995 database on-line. Provo, UT, USA: Ancestry.com Operations, Inc., 2011. "Michigan Deaths and Burials, 1800–1995." Index. FamilySearch, Salt Lake City, Utah, 2009, 2010. Index entries derived from digital copies of original and compiled records.. Hereinafter cited as Michigan, Deaths and Burials Index, 1867-1995. SOURCE: Esther Oviedo-McCulley letter 24Jun1991. SOURCE: Esther Oviedo-McCulley letter 21Dec1994. The cause of death was crib death. Jennifer Kyle Bradford is the daughter of Robert Bradford and Elizabeth Jane McCarty. 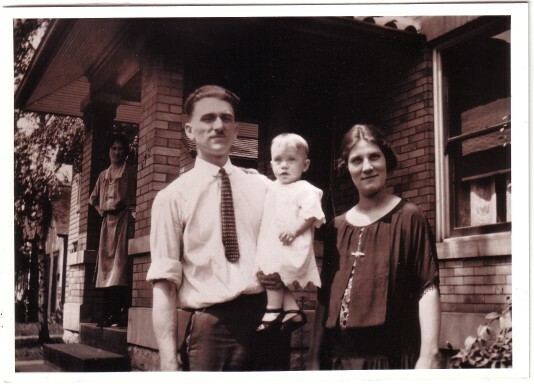 Jason Patrick Lakin is the son of Ronald Lakin and Luella Florence McCarty. 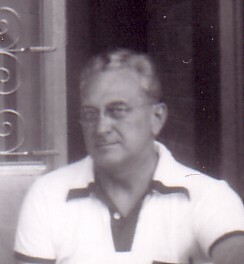 John Russell Lakin is the son of Ronald Lakin and Luella Florence McCarty. Jason Douglas Catts is the son of Henry Perry Catts III and Nancy Lois Harn. [S1553] Letter from Nancy Louise (Perry) Harn (20450 Huebner Rd., #11102, San Antonio, TX 78258) to Steven Harn Redman, 09 Jul 2000; Steven Harn Redman (2633 N. 1600 E., Layton, Davis Co., UT). [S2420] Nancy Louise Perry Harn, Tulsa World, https://www.tulsaworld.com/obituaries/localobituaries/nancy-louise-perry-harn/article_93519456-687b-5403-b864-747340f5a697.html, 14 Dec 2014. Hereinafter cited as Tulsa World. Frank Kish married Kathryn Louise Harn, daughter of John Robert Harn and Nancy Louise Perry, circa 1976; no children by this marriage. Frank Kish and Kathryn Louise Harn were divorced in 1987. Nancy Kathryn Harn died on 12 April 1945.1 She was born on 12 April 1945; still-born.2 She was the daughter of John Robert Harn and Nancy Louise Perry. [S1894] Interview with Kathryn Louise Harn (Deland, Florida), by Steven Harn Redman, 24 Jul 2008. Steven Harn Redman (2633 N. 1600 E., Layton, Davis Co., UT). Cynthia L. Kopenhagen is the daughter of David Kopenhagen and Patricia Gail Harn. Lance David Kopenhagen is the son of David Kopenhagen and Patricia Gail Harn. LuAnn Harn is the daughter of Charles Harold Harn and Bonnie Jean Ellis. Michael Lee Harn is the son of Charles Harold Harn and Bonnie Jean Ellis. [S1714] Esther Oviedo-McCulley, From Heron to Harn - The Family Genealogy (Temecula, California: Omega Print and Copy Center, Sep 2000), pg. 203, 210. Hereinafter cited as From Heron to Harn - The Family Genealogy. [S1714] Esther Oviedo-McCulley, From Heron to Harn - The Family Genealogy, pg. 211. [S1714] Esther Oviedo-McCulley, From Heron to Harn - The Family Genealogy (Temecula, California: Omega Print and Copy Center, Sep 2000), pg. 211. Hereinafter cited as From Heron to Harn - The Family Genealogy. [S1047] B. Esther (Oviedo) Harn, "E.B. Harn Sheets, FHL film 1036595, # 73, has born 09May1967", Feb 1977 (18921 Knapp St., Northridge, CA 91324). Hereinafter cited as "E.B. Harn Sheets." [S1714] Esther Oviedo-McCulley, From Heron to Harn - The Family Genealogy (Temecula, California: Omega Print and Copy Center, Sep 2000), pg. 203. Hereinafter cited as From Heron to Harn - The Family Genealogy. Darren Radford Harn is the son of Alan Duane Harn and Ruth Ann Spainhour. Isaac Moore married Elizabeth Hearne, daughter of Thomas Hearne and Sarah Newbold. His Ancestral File Number is G6WB-5W. [S830] B. Esther (Oviedo) Harn, "E.B. Harn Sheets, FHL film 1036595, # 8", Feb 1977 (18921 Knapp St., Northridge, CA 91324). Hereinafter cited as "E.B. Harn Sheets, FHL film 1036595." Joshua Morgan married Mary Hearne, daughter of Thomas Hearne and Sarah Newbold. Ancestral File Number G6WB-3K, submitted by two individuals. His Ancestral File Number is G6WB-3K. Benjamin Vincent married Ester (Esther) Hearne, daughter of Thomas Hearne and Sarah Newbold. Ancestral File Number G6WB-4Q, submitted by three individuals. His Ancestral File Number is G6WB-4Q. Her married name was Hearne. Hist & Genealogy of Hearne Family, by Wm T. Hearne, 1907, pg 176. Her Ancestral File Number is 3ZVP-DQ. [S1048] B. Esther (Oviedo) Harn, "E.B. Harn Sheets, FHL film 1036595, # 9, name as Kesiah", Feb 1977 (18921 Knapp St., Northridge, CA 91324). Hereinafter cited as "E.B. Harn Sheets, FHL film 1036595." [S1049] Vicki Galloway, Marilyn A. Ostlund, Mildred Weeks Sasso Mary Jones Tady, compiler, "Ancestral File Number 3ZVP-DQ, name as Keziah"; for Kesiah Cannon, Ancestral File, 4.19 Family History Library:, 35 North West Temple St., Salt Lake City, Salt Lake Co., Utah. [S844] Marilyn A. Ostlund Mary Jones Tady, compiler, "Ancestral File Number 3ZVP-CK, name as Clement"; Ancestral File, 4.19 Family History Library:, 35 North West Temple St., Salt Lake City, Salt Lake Co., Utah. [S1050] William T. Hearne, History & Genealogy of Hearne Family, pg 286 (Independence, Missouri: Examiner Printing Co., 1907). Hereinafter cited as History & Genealogy of Hearne Family. [S779] B. Esther (Oviedo) Harn, "E.B. Harn Sheets, FHL film 1036595, # 202,204", Feb 1977 (18921 Knapp St., Northridge, CA 91324). Hereinafter cited as "E.B. Harn Sheets, FHL film 1036595." [S1714] Esther Oviedo-McCulley, From Heron to Harn - The Family Genealogy (Temecula, California: Omega Print and Copy Center, Sep 2000), pg. 165. Hereinafter cited as From Heron to Harn - The Family Genealogy. 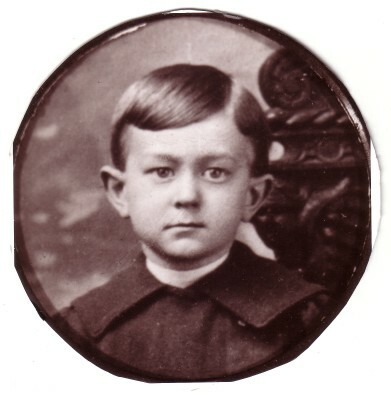 Paul H. Harn Sr. as an adult. Paul H. Harn Sr., Marie (Gladwish) Harn and Paul H. Harn Jr.
His Social Security Number was 298-07-1251 issued in Ohio. [S1051] B. Esther (Oviedo) Harn, "E.B. Harn Sheets, FHL film 1036595, # 223", Feb 1977 (18921 Knapp St., Northridge, CA 91324). Hereinafter cited as "E.B. Harn Sheets, FHL film 1036595." [S1822] John Peter Harn, "Email from John Harn on 10 May 2007," e-mail message from e-mail address (n/a) to Steven Harn Redman, 10 May 2007. Hereinafter cited as "Email from John Harn on 10 May 2007." Birth Date: 14 Aug 1899. Hereinafter cited as Florida Death Index, 1877-1998. [S1821] John Peter Harn (5770), "Email from John Harn - Portland, Oregon," e-mail message from e-mail address (Portland, Oregon) to Steven Harn Redman, May 2007, email from 06 May 2007. Hereinafter cited as "Email from John Harn - Portland, Oregon." [S1052] Paul Henry Harn Sr., unknown file number, Social Security Death Index (b- 14Aug1899 d- Jul1971), unknown series (n.p. : n.pub.). George Perkins married Ida Harn, daughter of Milton Hamilton Harn and American Olivia Hackett. [S766] B. Esther (Oviedo) Harn, "E.B. Harn Sheets, FHL film 1036595, # 231", Feb 1977 (18921 Knapp St., Northridge, CA 91324). Hereinafter cited as "E.B. Harn Sheets, FHL film 1036595." Census 19 June 1900 Noble Twsp., Marshall Co., Kansas, listed as born Feb 1873 in Iowa. [S909] B. Esther (Oviedo) Harn, "E.B. Harn Sheets, FHL film 1036595, # 203", Feb 1977 (18921 Knapp St., Northridge, CA 91324). Hereinafter cited as "E.B. Harn Sheets, FHL film 1036595." Willis Mason was the son of Clarence Mason and Jessie Harn. Henry Mason was the son of Clarence Mason and Jessie Harn.